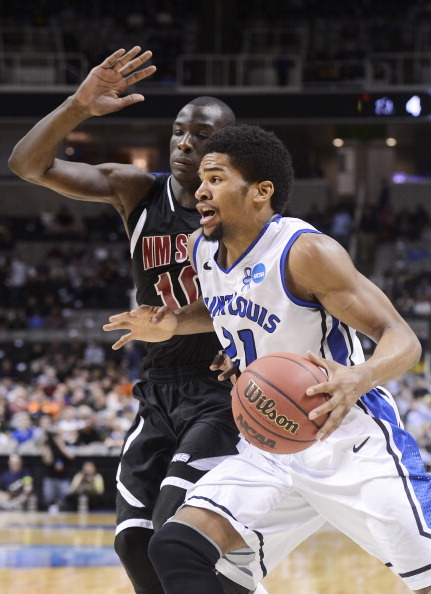 The Billikens did what they’ve done all season: force turnovers, play stingy basketball, and find Dwayne Evans. 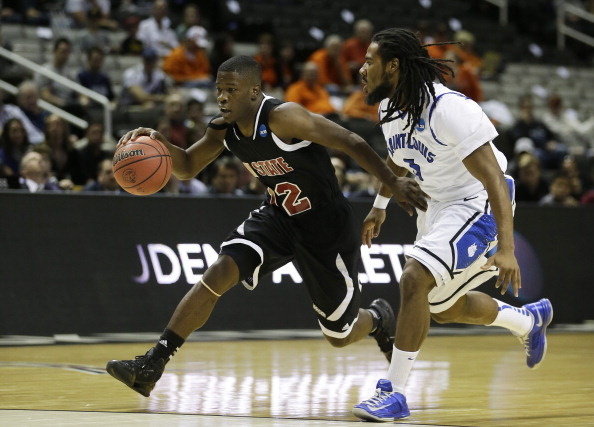 SLU forced 16 turnovers and scored 20 points off New Mexico State’s mishaps. After Sy Bandja cut the deficit to six at 12:57 in the 2nd half, St. Louis really took over. The Aggies finished just 3-of-19 shooting starting at 12:07. The win marks the 7th time this season St. Louis has held an opponent under 50 points. Remarkable. New Mexico St. shot 28% from the field and 13% (2-16) from deep. The #4 seeded Billikens proved too fast for the Aggies, who could never get into any offensive rhythm. Evans is such a fascinating player. He scores all over the floor, and when opponents try to make a run, he calms the entire team down with a clutch basket. He finished with 24 points — 16 coming in the first half. Evans, Cody Ellis, and Cory Remekun finished with six rebounds each. I’ve talked about the Billikens need for secondary scoring. Ellis answered the bell hitting three 3-point shots. Remekun, who had a grand total of 15 points over his last 10 games, finished with 11 points playing 23 minutes. The Bills advance to the 3rd round, taking on the winner between Oklahoma St. and Oregon.